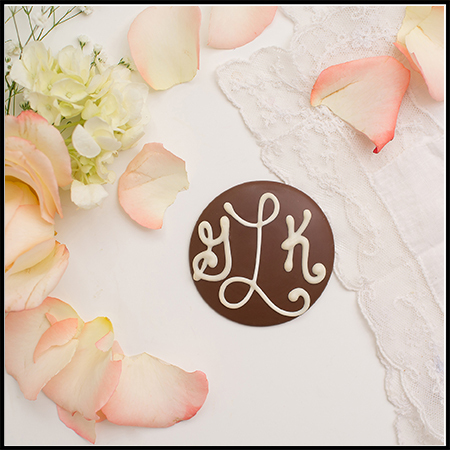 For a wedding favor that is uniquely yours, our Personalized Monogrammed Discs are a wonderful choice. 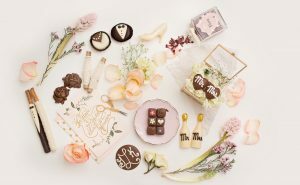 Our luscious chocolate is hand-deposited in a circle and then piped with white chocolate, also by hand and then individually cello bagged and ribboned in your respective wedding colors. 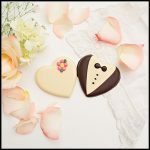 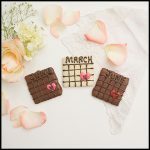 Available in milk or dark chocolate with white writing or white chocolate with milk chocolate writing, these will make your wedding extra special. 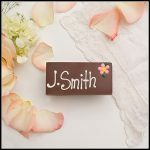 Priced Starting at $2.79/each-$3.29 depending on how many lines of writing are needed. Monogram is considered 1-line. 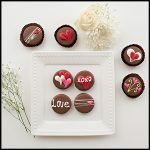 Each are bagged & bowed to match your décor. 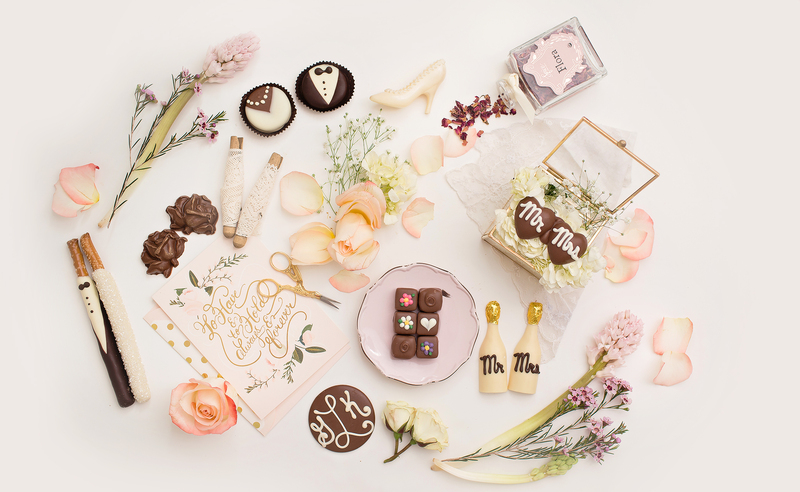 Monogram Etiquette: Ladies First (unless you’re marrying a Prince)!